Earlier this year, Sistering was awarded Best Novel by the Association for Mormon Letters, an international community that’s been very kind and supportive of my work. They sent one of their best and brightest, Michael Austin, to do an email interview with me–the most Mormon and, interestingly, the least gender role fixated one I’ve ever done. The link to read it is here. My dad has shown me enough inspirational sports movies and documentaries for me to know it’s best to wait until right before the buzzer sounds at the end of the game to score a big goal. Near the end of the season, I was named on one shortlist but, while I appreciated the honour, the award was a bad fit for me and I didn’t win it. 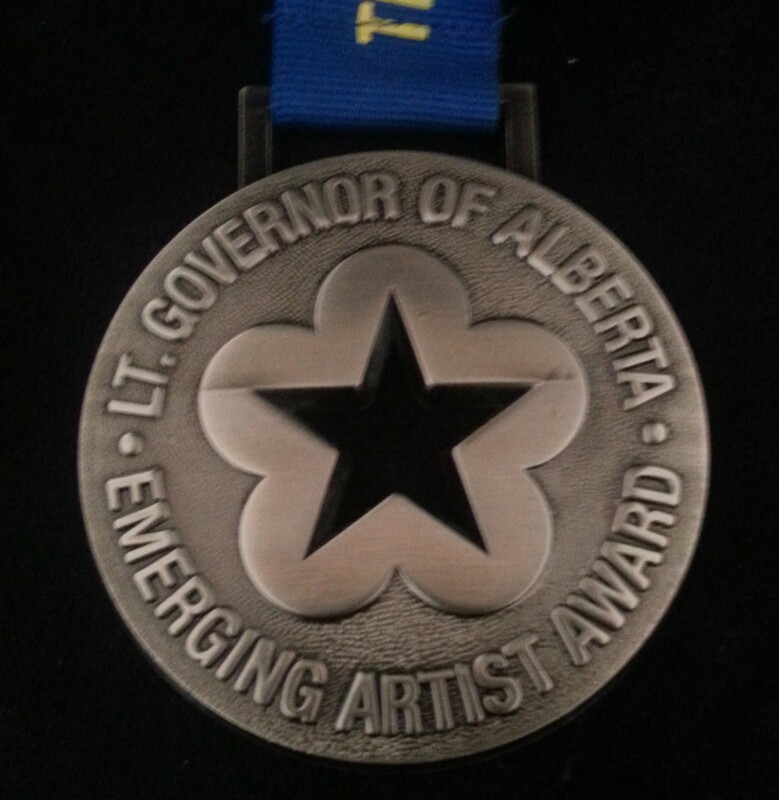 …congratulating me on winning the 2014 Lieutenant Governor of Alberta’s Emerging Artist Award. It finally happened. I won the last award I was a contender for this year – scored on my last chance to claim the “award-winning” designation, right before the final whistle. Along with the rights to “award-winning” it comes with a prize, a medal, media coverage, and a fancy ceremony with His Honor. 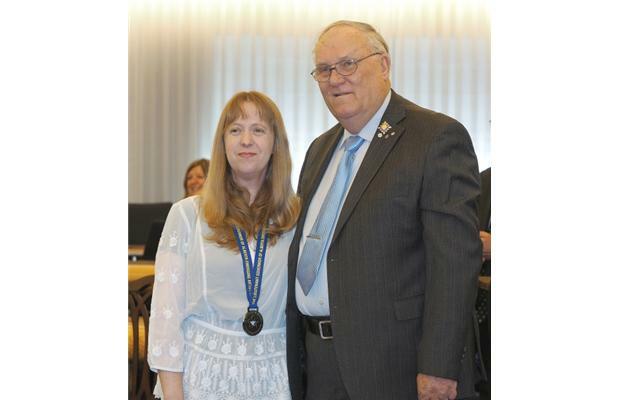 I’m one of eight recipients chosen from a wide range of artistic fields to get the award. 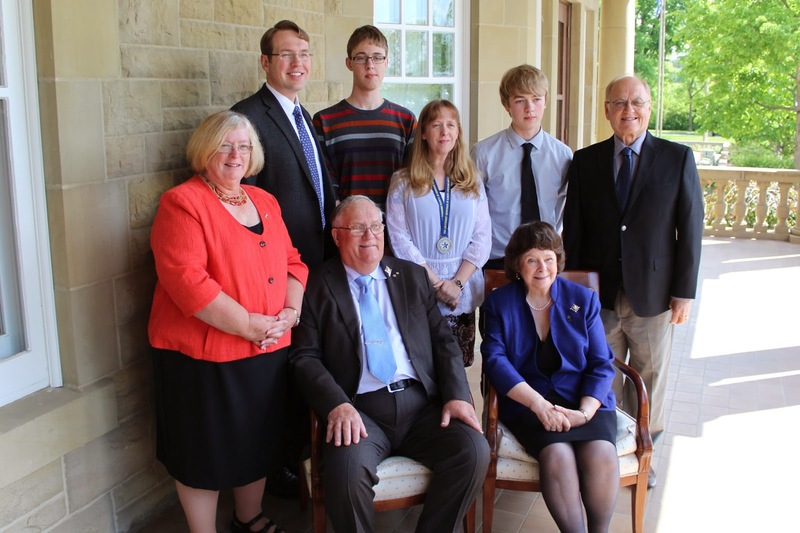 I’ll find out who the rest of them are at 10am today at Government House in Edmonton. I couldn’t be more pleased or more grateful to the board for selecting me. Yay! I’m churchy, okay. I’m not even sorry. I wrote a novel about people who quote the Bible at funerals, have a large family, and conspicuously don’t drink coffee. I wrote a book with the words “Joseph Smith” printed in it. In case anyone missed it, my characters are Mormons and so am I. Like all writers, my goal is for everyone to read my book. Everyone includes my fellow Mormons. The Church is active throughout the world but its densest concentration of members is in the American state of Utah. By the time my book was released, I had only been to Utah once. It was when I was twelve years old and caught in one of my parents’ horrifically hot transcontinental summer road trips. As a grownup author with a book to promote, I didn’t know how to begin to infiltrate the Utah market. I picked through the Internet until I discovered the Whitney Awards. They were invented to recognize fiction produced by Mormon writers. It was a longshot but a few months later, a panel of judges selected my book as a Whitney finalist – one of the top five in the general fiction category. And that’s when I tripped down the rabbit-hole. I’m still a novice when it comes to understanding fiction considered “Mormon.” I haven’t learned all its terminologies and talking points. Please forgive any rookie misconceptions here. As far as I can tell from outside the scene, “Mormon fiction” means several different things. It has to since the Church is large and varied enough to include all kinds of people with all kinds of tastes and reading and writing levels. Contrary to nasty, simple-minded fairy tales, there is no monolithic Mormon person. Insisting there is would be calling on a stereotype and it’s as unfair to apply a stereotype to a religious group as it is to apply it to any other bunch of humans. Far from being a unified movement, the Mormon book-scene is multi-faceted. Within it there are writers who craft books intended solely for Mormon audiences. They produce mainly historical fiction, kissing-only romance, inside jokes, and heartwarming lessons. There are also Mormon authors – big commercial names like Brandon Sanderson and Stephanie Meyer – who write mass market speculative and young adult fiction. When it comes to literary fiction, much of the book-length Mormon-y stuff is written from the negative perspectives of disaffected members – people who don’t like church anymore. Some of these writers – no one famous or influential enough for me to spontaneously remember their names – loudly reject the idea that there can be a “Great Mormon Novel” that combines good literary fiction with Mormon orthodoxy. I didn’t know this a year ago, but I’ve heard there comes a time in most Utah-Mormon writers’ careers when they must ask themselves if they’re going to work within the Mormon niche or in the mass market. I have never asked myself this question. Until recently, the Mormon book-scene hasn’t been part of my consciousness. I’ve missed out on some good contacts and mentors because of that but I’ve also been spared some self-consciousness and second-guessing – the burden of a complicated, value-laden artistic and intellectual drama. 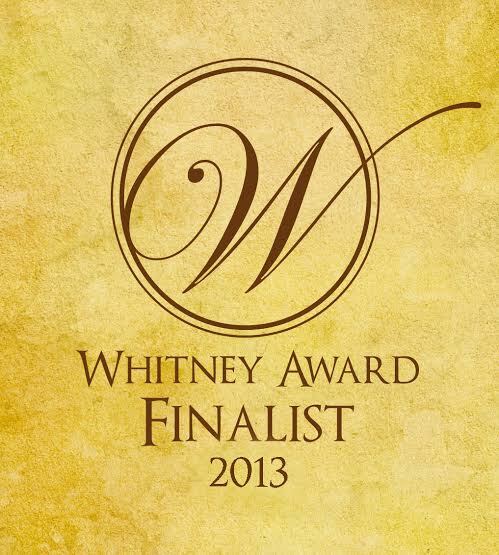 It was when my novel was named a Whitney finalist that it started to get traction in the Mormon book-scene. At first, it was received with enthusiasm. Kind reviews started to appear. People were happy to read my book. It unwittingly defied critics and filled a literary void in the 2013 Mormon publishing calendar. What I didn’t understand was that all this goodwill was coming from just one corner of the book-scene. I hadn’t counted on the larger, sometimes more petulant corner that prefers to have its heart warmed, flipped over, warmed again, flipped over, warmed again… From that corner, literary work often seems risky and dangerous and pretentious. There’s a newspaper in Utah called Deseret News. It’s not run by the Church but it is owned by the Church. A freelance book reviewer assigned by Deseret News – a woman the same age as my mum — really, really hated my novel. I can’t find a way to say this that doesn’t sound like bragging so I’ll just blurt it out. I don’t have much experience with bad reviews. The fact that this reviewer didn’t like the book was strange and disappointing. But that wasn’t what made me sick about it. A complete stranger had called out my work in a Church-owned publication as bad Mormonism. I don’t know how other churches work but in my Church, book reviewers aren’t supposed to have the authority to say what or who is or is not doctrinally orthodox. Now, the last thing a novelist should do upon getting a bad review is challenge the reviewer and her editors about it. Everyone knows that. We are aloof artistes. We ignore and move on. But the reviewer had raised issues outside my book. She’d attacked my integrity and fidelity. It was so far offside I blew the whistle. I complained first to her immediate editors. They ignored me (though the reviewer showed some shocking hegemony when she wrote back telling me it is indeed her role to warn innocent readers when books “don’t match up” to good Mormon doctrine). Fuming, I wrote to the president of the newspaper. Within half an hour of sending that email, Deseret News apologized, took the offensive comments out of the review, and asked me to forward the email where the reviewer voiced her absurd self-appointed mandate to judge my orthodoxy. 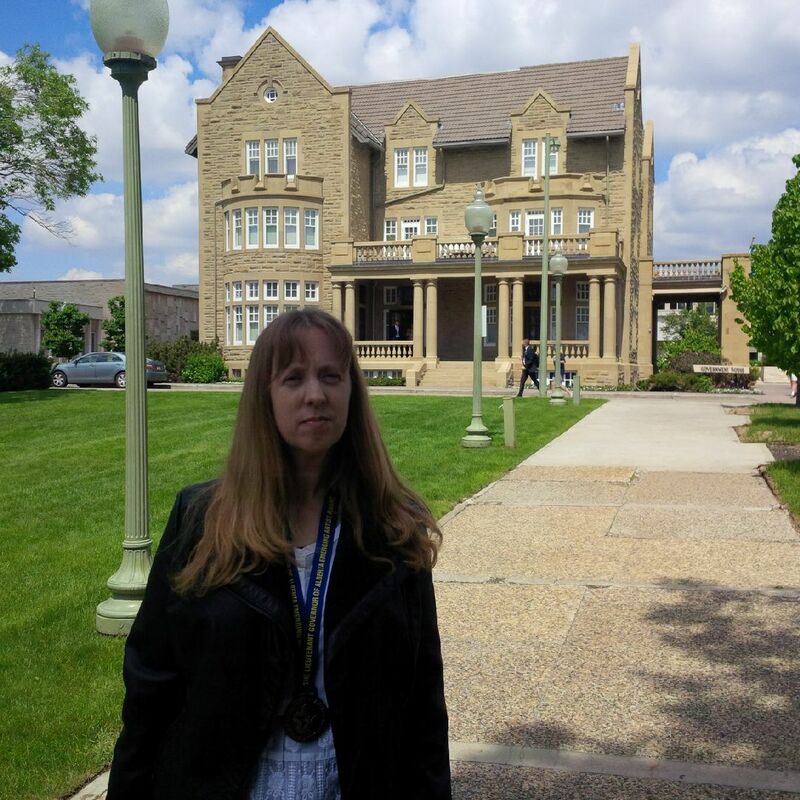 After all this, I decided to travel to Utah to attend the Whitney Award ceremony anyway. 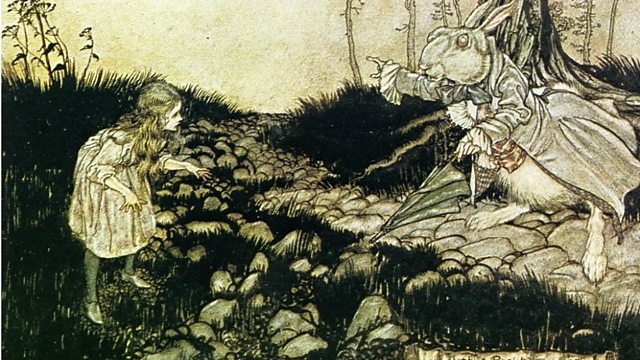 I’d been tumbling down the rabbit-hole of the Mormon book-scene long enough to start to examine my surroundings and the other objects falling with me. I was curious – perhaps morbidly so – and wanted to land in that world and move through it in the physical universe for a little while. Once again, my parents were my traveling companions in Utah. We had the good fortune to be in Salt Lake City’s Temple Square during a quick, free concert played on the massive pipe organ inside the big church that puts the “Tabernacle” in the “Mormon Tabernacle Choir.” We all agreed this was the highlight of the trip. Instead of indulging himself with a fussy highbrow organ piece, the organist played accessible songs – organ pop-songs with swelling choruses and big finishes like sonic tsunamis. They were loud and fancy – songs meant to show us what the old pipe organ could do, sounds that vibrated through our chest cavities as if we were part of the instrument ourselves. The organist was playing to the hearts and souls of musical Philistines like my parents and me – and we loved it. It was exactly what we wanted. There are times and places to play to more subtle and discriminating tastes but this was not one of them. Back at the Whitney Awards, things weren’t going so well. I’d brought books to sell and in an entire day, I’d sold one. Sure, it was to the fiction editor of Sunstone magazine but – come on. At the banquet I accidentally flung my tough cut of sirloin into the front of my dress and, of course, I did not win a Whitney Award. I’d been nominated alongside three romances and a buddy-road-trip novel. The best and most literary of the three romances won. For the overall best book award, another romance – self-described as Bronte inspired — was the winner. I was a little offended when, in her acceptance speech, the winner made comments that could have been construed as her claiming to have won because she had prayed harder over her book than the rest of us (again with the beside-the-point piety rankings) but other than that, the award made sense. See, the final round of the Whitney competition is a popular vote. It’s like a free, quick concert on an ostentatious pipe organ. It’s got to be a crowd-pleaser, an easy, emotionally satisfying romp. That’s just what it is. What I do appreciate is that someone in the previous selection round, one or more of the Whitney judges, had stuck their necks out and brought my novel – a literary piece, a critic-pleaser by an obscure foreigner – to the Mormon book-scene’s attention. The Whitneys aren’t really the time or the place to celebrate a novel like that – not yet, anyways. But someday they might be. This year, maybe they came a little closer. Maybe someday that mythical “Great Mormon Novel” will appear on the scene and by then even the most guarded reviewers in the Deseret News will have learned not to be angry and afraid of it. Until then, take my novel, Mormon book-scene. Take it into your Wonderland and let it wear away some of the harshness of the hegemony still lurking there. Grind it up, add its few small grains to the foundation being built for something better than what’s there now.